The LG G5 is a revolutionary smartphone for a flagship. While its rivals have stuck with traditional design, LG has gone ahead with a very unconventional modular design that paves an exciting and brave new path for the smartphone industry as a whole. If you intend to swap the batteries or use the modules, it is pretty frustrating to have to remove the case/cover every time. But, it is highly advisable to use a good quality case/cover to protect your LG G5 from accidental damages. 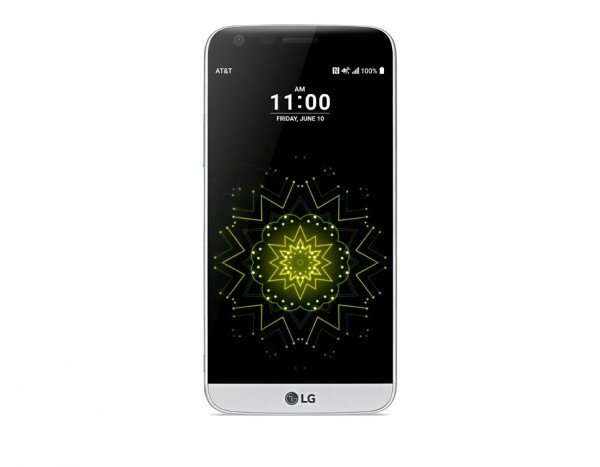 Listed below are the top 10 best LG G5 cases and covers. 1. Spigen Tough Armor LG G5 Case: If you need good looks as well as heavy duty rugged protection, the Spigen Tough Armor LG G5 Case is the way to go. 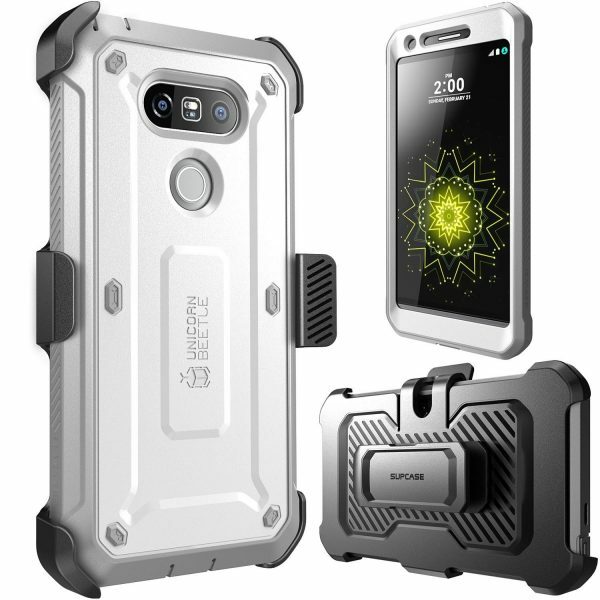 The Spigen Tough Armor LG G5 Case uses air cushion technology to protect your smartphone from drops and the built-in kickstand is a great convenience too. The Spigen Tough Armor LG G5 Case is available in 3 colors. 2. 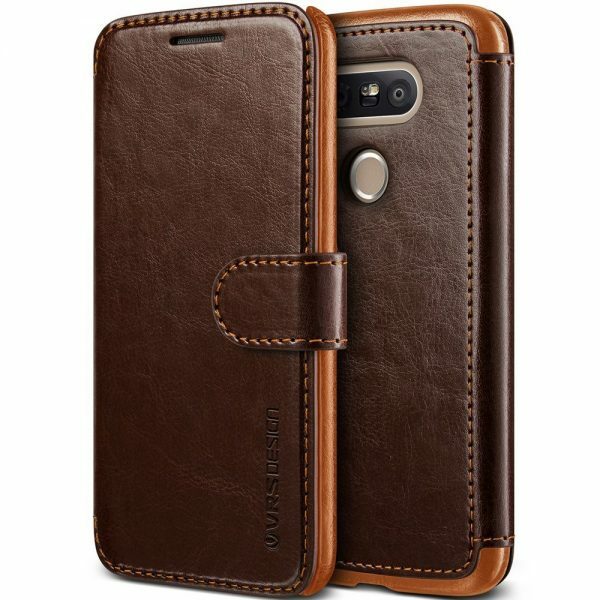 VRS Design Layered Dandy LG G5 Wallet Case Flip Cover: The VRS Design Layered Dandy LG G5 Wallet Case Flip Cover is very attractive and features three card slots for your business cards, credit cards, bank cards etc. and a cash pocket. The VRS Design Layered Dandy LG G5 Wallet Case Flip Cover is available in 3 colors. 3. Obliq Skyline Advance LG G5 Case: The Obliq Skyline Advance LG G5 Case is a great looking smartphone case. 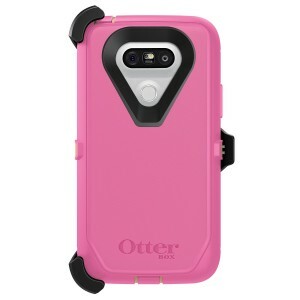 The case features impact resistant, shock absorbing bumpers and side grips for a no-slip grip. The built-in metal kickstand is very useful too. 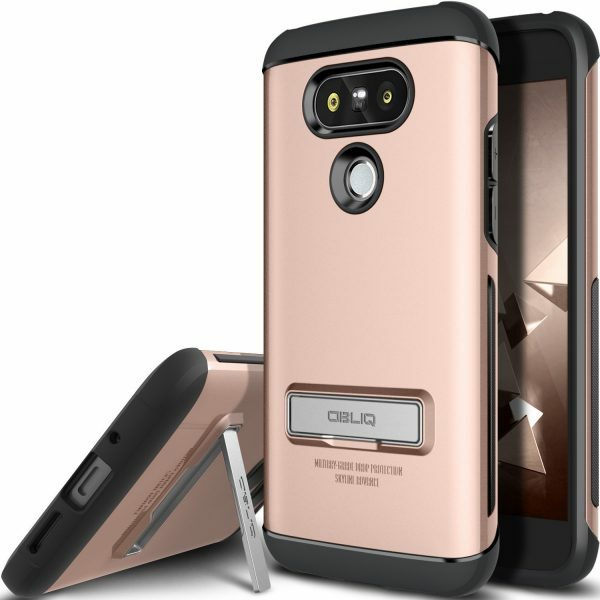 The Obliq Skyline Advance LG G5 Case is available in 4 colors. 4. 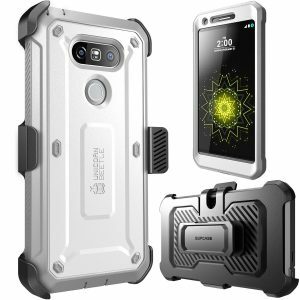 OtterBox Defender Series Case for LG G5: Being a flagship smartphone, the LG G5 is very expensive. 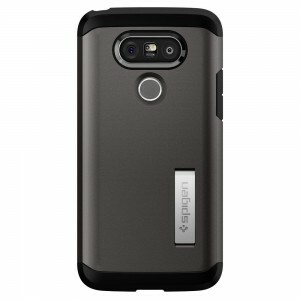 So, if you need top notch protection to safeguard your investment, the OtterBox Defender Series Case for LG G5 is a great option. The case offers tough four layered protection from drops, bumps, dust and scratches. 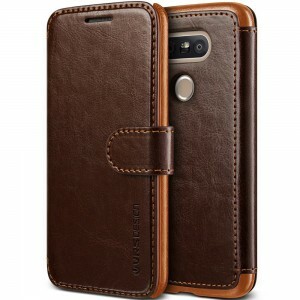 The built-in screen protector guards against scratches and the belt clip holster doubles as a kickstand. 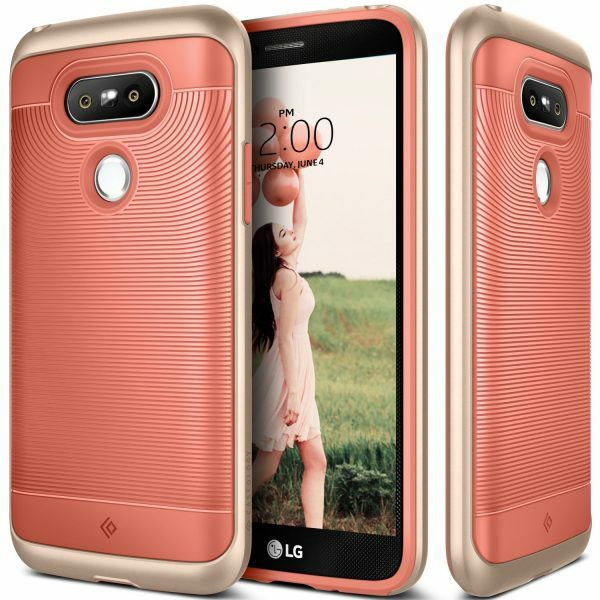 The OtterBox Defender Series Case for LG G5 is available in 3 colors. 5. 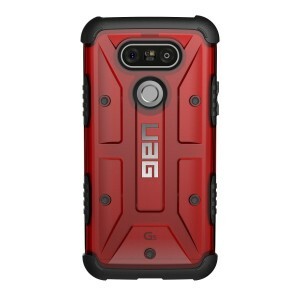 Urban Armor Gear LG G5 Case: The Urban Armor Gear LG G5 Case is feather-light, yet, meets military drop-test standards. 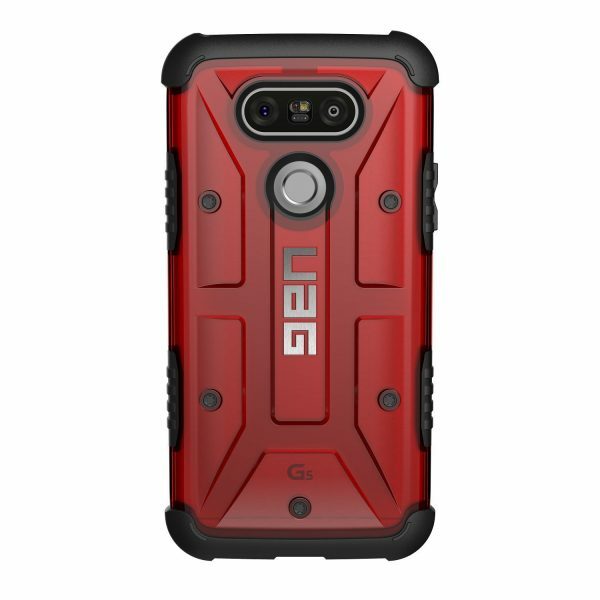 The Urban Armor Gear LG G5 Case is available in 4 different colors. 6. 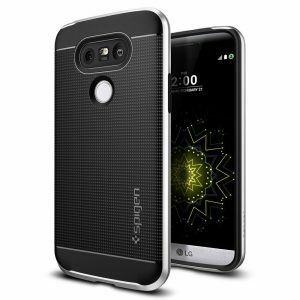 Spigen Neo Hybrid LG G5 Case: The Spigen Neo Hybrid LG G5 Case looks very stylish with its polycarbonate bumper and metalized buttons. The TPU pattern on the back offers great grip too. 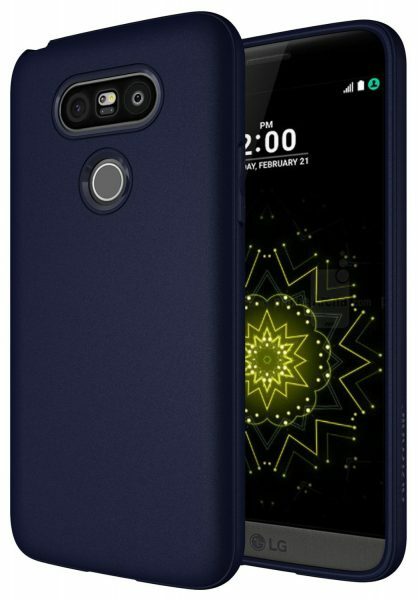 The Spigen Neo Hybrid LG G5 Case is available in 2 colors. 7. 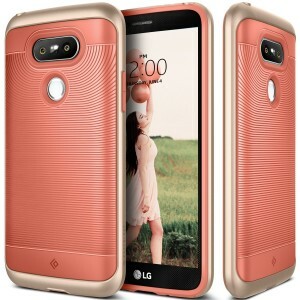 Supcase Unicorn Beetle Pro Series LG G5 Case: If you need a good holster case for your LG G5, the Supcase Unicorn Beetle Pro Series LG G5 Case is a great option. In addition to the 360-degree swiveling belt clip holster, the case also provides full-body protection with its impact resistant bumpers, shock absorbing body and built-in screen protector. The Supcase Unicorn Beetle Pro Series LG G5 Case is available in 3 colors. 8. Caseology Wavelength Series LG G5 Case: The Caseology Wavelength Series LG G5 Case looks great and offers astonishing levels of grip owing to a textured back. This slim case is available in 5 beautiful colors. 9. Diztronic Full Matte TPU Series LG G5 Case: The Diztronic Full Matte TPU Series LG G5 Case is ultra-thin, lightweight and offers decent drop protection. The full matte finish makes it soft and comfortable to hold. The Diztronic Full Matte TPU Series LG G5 Case is available in 3 colors. 10. 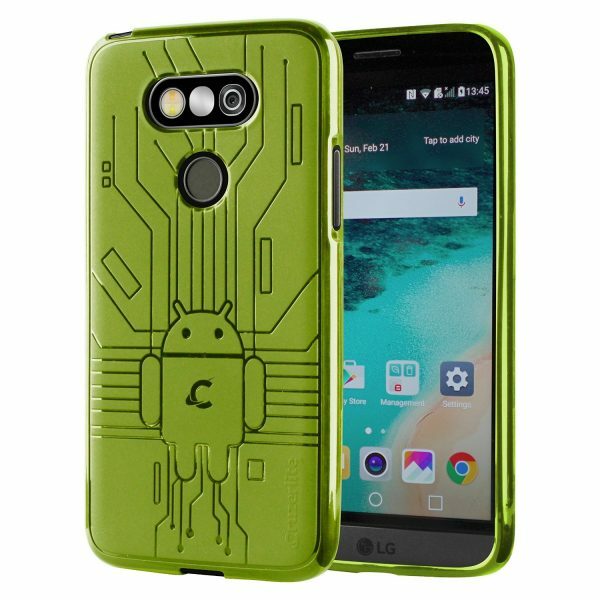 Cruzerlite Bugdroid Circuit LG G5 TPU Case: The Cruzerlite Bugdroid Circuit LG G5 TPU Case features a quirky design just like the LG G5. The case is made from high quality TPU and is very easy to install/remove. 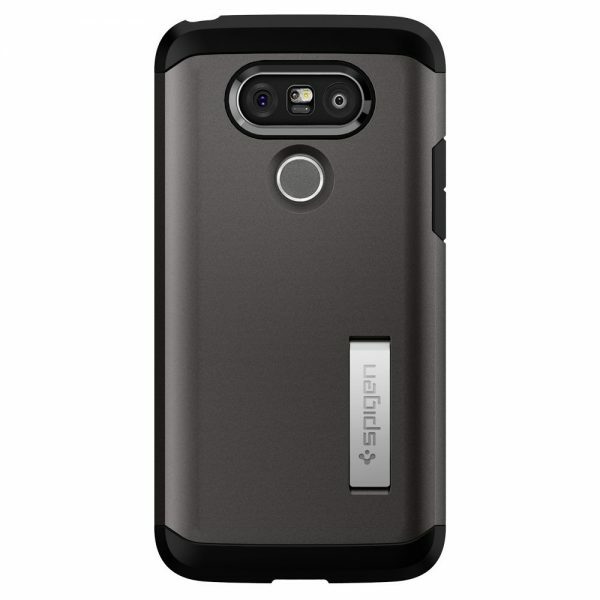 The Cruzerlite Bugdroid Circuit LG G5 TPU Case is available in 8 different colors. 11. E LV LG G5 Case: The E LV LG G5 Case is slim, lightweight and custom made for the LG G5. The shock absorbing bumpers protect your device from accidental drops and the anti-slip grip prevents drops. The sweat resistant case is available in 5 colors. 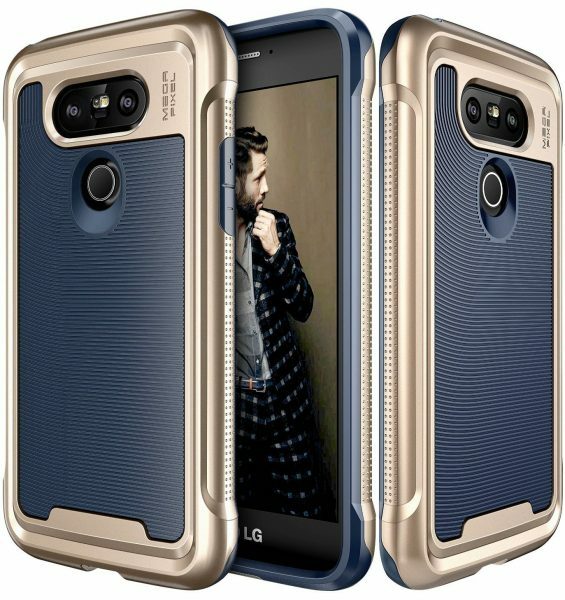 12. i-Blason Clear Halo Series LG G5 Bumper Case Cover: The LG G5 sports a luxurious full-metal body worth showing off. If you share the same sentiment, the i-Blason Clear Halo Series LG G5 Bumper Case Cover lets you do so safely with its transparent crystal clear back. 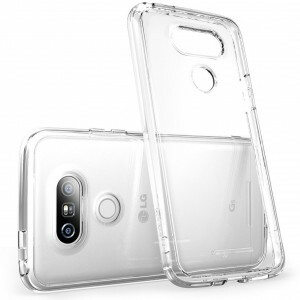 The i-Blason Clear Halo Series LG G5 Bumper Case Cover is also scratch resistant and very grippy. These are the top 10 best LG G5 cases and covers.